In our latest segment of Sound Bites, our series about our food and our world, we begin with a look at a free 6-session Vegan Living Program that begins this weekend at Mt. Royal Elementary School in Baltimore. With: Brenda Sanders, Executive Director of Better Health Better Life; and Erin Marcus, co-organizer of the Vegan Living Program. Next on Sound Bites we Hear the Maryland Crunch! March 25 is Maryland Day, and Maryland Hunger Solutions and thousands of other Marylanders are celebrating by crunching into a juicy apple! Hear the Maryland Crunch is a fun state-wide, synchronized apple crunch event that aims to reduce child hunger by increasing access to School Breakfast Programs. With Michael J. Wilson, Executive Director of Maryland Hunger Solutions. 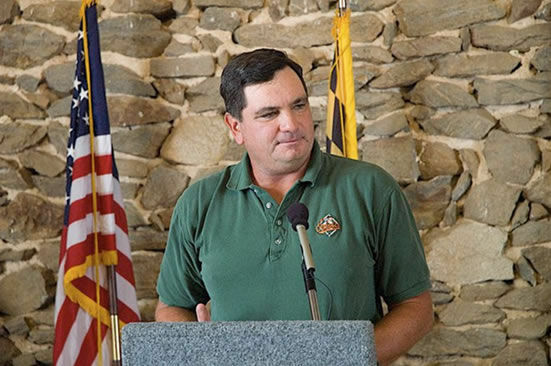 Then we hear an interview with the new Maryland Secretary of Agriculture Joseph Bartenfelder, who will talk about the Phosphorus Management Tool.